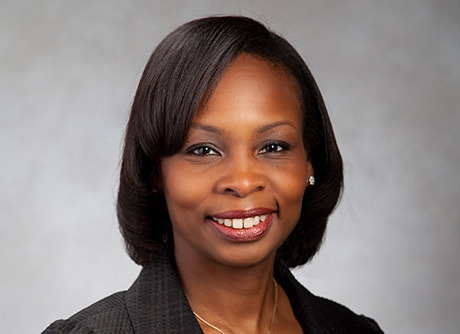 Ivy R. Taylor was elected Mayor of San Antonio on June 13, 2015. Prior to that, she was appointed to the office of Mayor in July, 2014, to fulfill Julian Castro’s unexpired term. She had served as the District 2 City Council Representative for a total of five years beginning with her election in June, 2009. Mayor Taylor began her career working for the City of San Antonio in the Housing and Community Development Department and the Neighborhood Action Department. While at the City, she worked with a variety of neighborhood associations, developers and nonprofit organizations in order to facilitate inner city redevelopment. After six years, she left employment with the City of San Antonio to become Vice President at Merced Housing Texas. At Merced, she worked to create and implement programs to improve family stability for apartment community residents. For six years, Mayor Taylor also lectured at The University of Texas at San Antonio in the Public Administration Department. During her tenure on the City Council and as Mayor, she has remained focused on balanced growth throughout our city and targeted investment in areas where opportunities have been limited. She led the effort to bring over $50 million in federal funding for revitalization of San Antonio’s Eastside. As Mayor, she and the City Council worked with San Antonio Water Systems to achieve unanimous approval for the Vista Ridge Water Supply project which will help ensure water supply for our growing city. Mayor Taylor served on the board for Healthy Futures of Texas and Big Brothers Big Sisters of South Texas. She has served on the City's Planning Commission and as a Commissioner for the City's Urban Renewal Agency (SADA). Mayor Taylor completed the Leadership San Antonio class sponsored by the Greater San Antonio Chamber of Commerce, and in 2004 was acknowledged by the San Antonio Business Journal as a "Rising Star" in their "40 under 40" class. Mayor Taylor obtained a Master's Degree in City and Regional Planning from the University of North Carolina at Chapel Hill in 1998. In 1992, she received a Bachelor's Degree from Yale University. Mayor Taylor is a devoted wife and a mother. © 2016 The Cultural Landscape Foundation, all rights reserved. The marks "The Cultural Landscape Foundation," “Landslide," "Pioneers of American Landscape Design," and "What's Out There" are registered trademarks of The Cultural Landscape Foundation®.